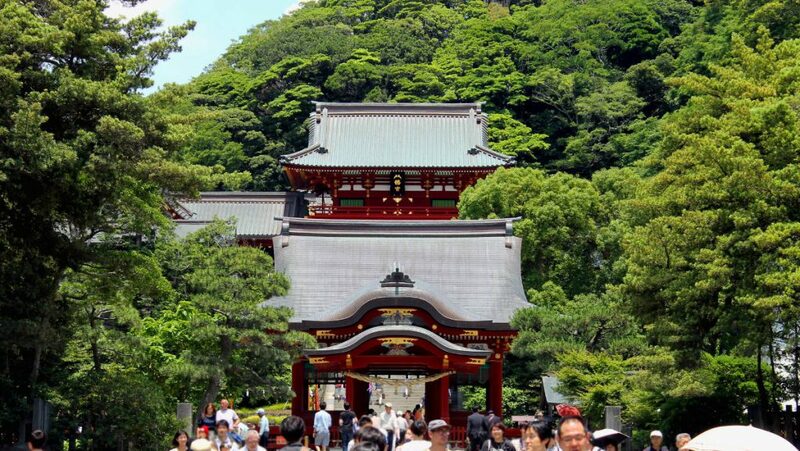 Start off your Kamakura day trip at Tsurugaoka Hachimangu, which has a beautiful walkway that leads up to the temple. 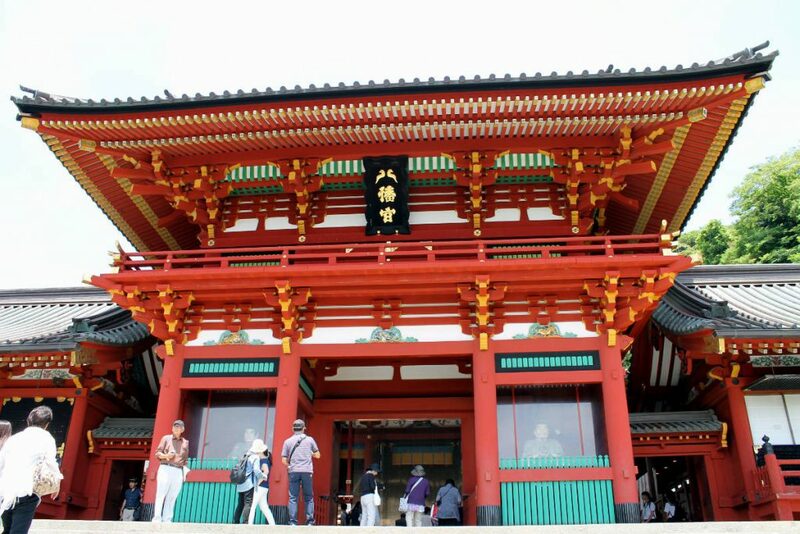 There is a red torii at the beginning of the walkway that leads to a big red gate before arriving at the temple. It’s slightly atop a hill and set back into the trees which makes for a fantastic view. Next, head over to Kenchoji. The first thing you’ll see is a large wooden gate. 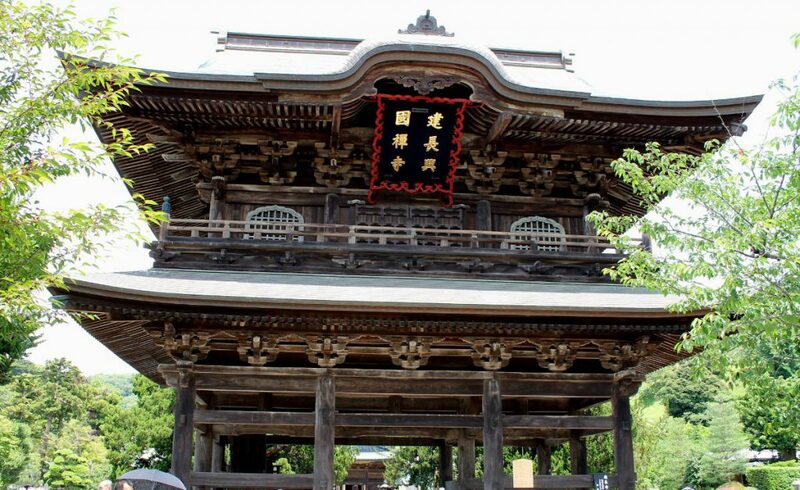 The worn wood of the gate and even the temple itself gives everything an old, historic feel. 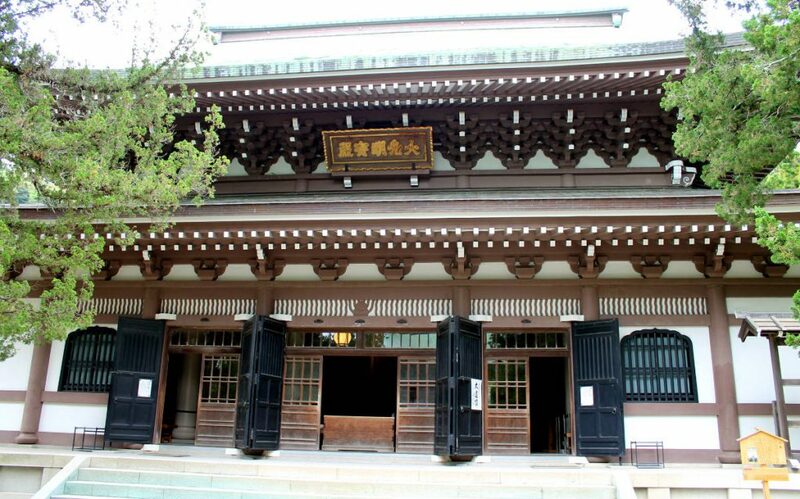 Unlike some of the other temples in Japan that are a bright orange or red color, the unassuming wood of this shrine gives off the feel that it has been around forever. Don’t forget to stop and smell the roses! Or in this case, hydrangeas! 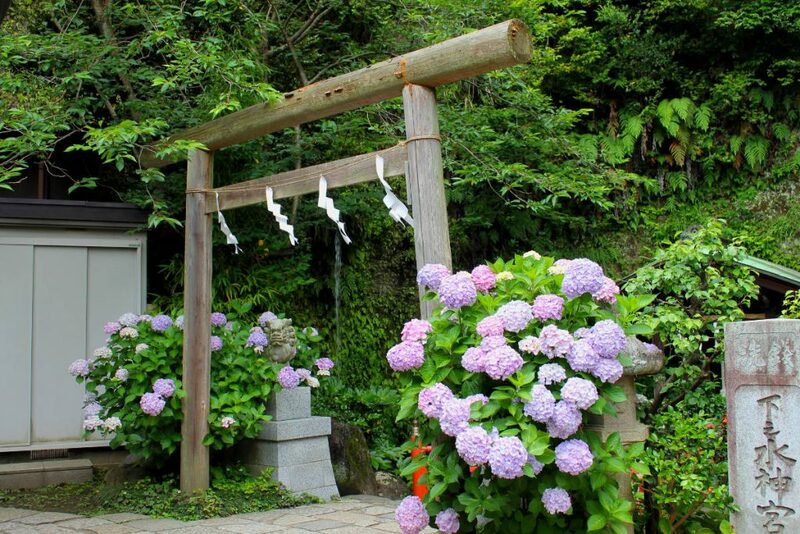 Meigetsuin is particularly popular in June because of all the Hydrangea flowers. It’s a little more expensive if visit in June as opposed to other times of the year, but I think the view of the rows of Hydrangea flowers are worth it. I’ve seen Hydrangea flowers before, but I had never seen so many in one area, and it definitely filled the whole area with an enjoyable aroma. However, even if you can’t go in June, it’s still a beautiful place to visit. 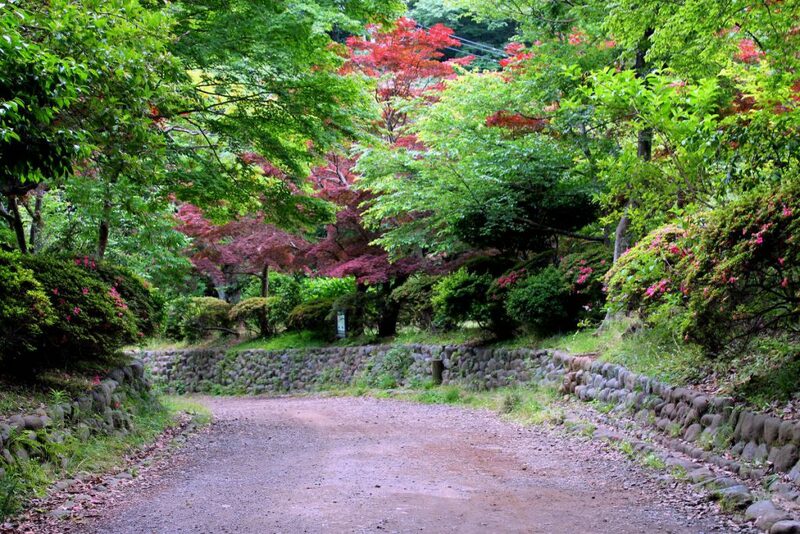 Over you’ve had your fill of flowers, stop by Engakuji. 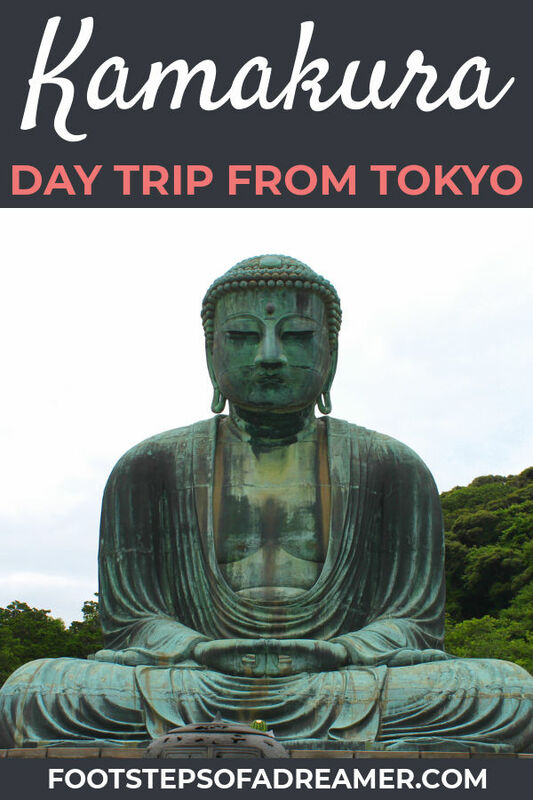 It hadn’t been on my original Kamakura itinerary, but I was glad we had made the detour. The temple itself was nice, but I particularly liked the area leading up to shrine. 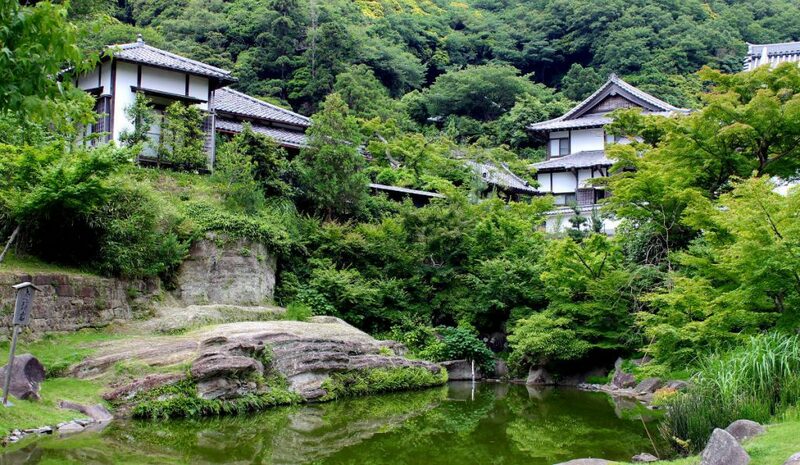 There were small ponds with traditional Japanese houses tucked into trees. When I thought of a traditional Japanese style house, this is what I imagine. If you’re looking for “off the beaten path” destinations or just wanting to experience local life away from the big city, this is the place to do it. Zeniarai Benten was a little bit of a hike to get to. It’s tucked away up in a mountain, but getting there is a really cool experience in itself. 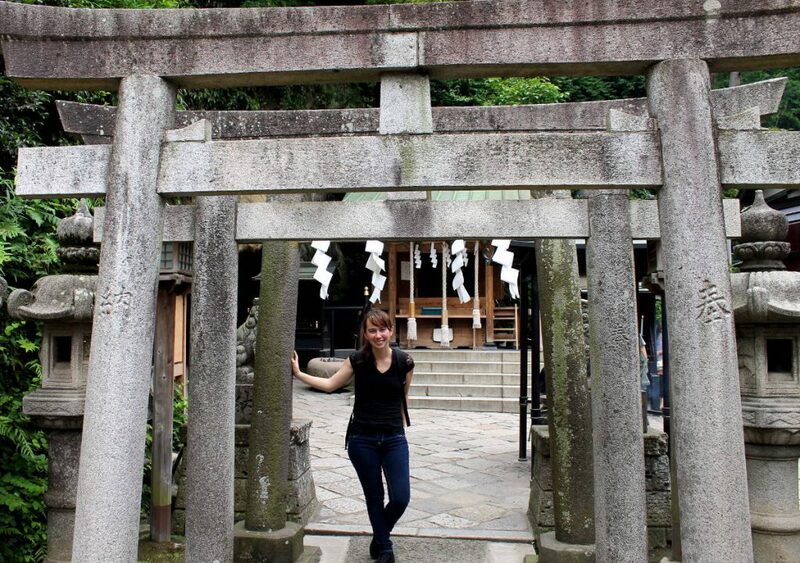 You actually have to walk through a small rock tunnel in order to get to the shrine area. The actual shrine is tucked away in the overhang of one of the rocks. On the opposite side of the area is another smaller offering box next to a waterfall. 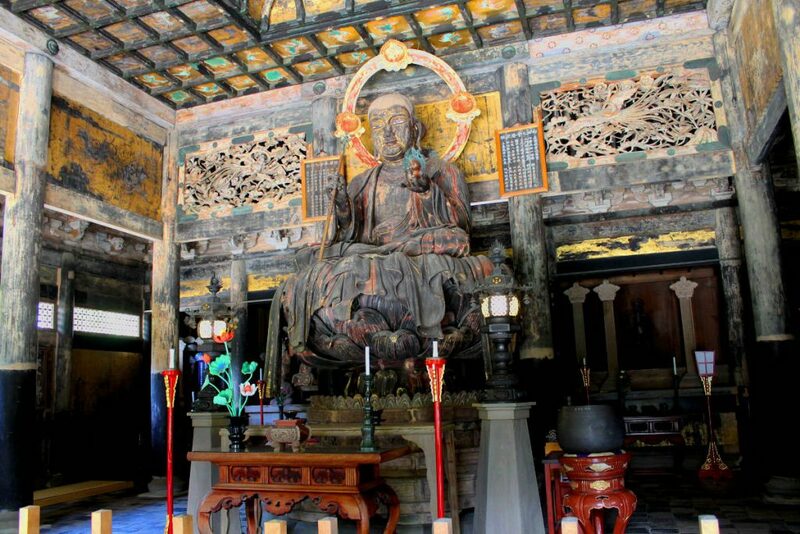 Lastly, make sure to hit Kotokuin, which is known for its large Buddha statue set in the middle of the area. 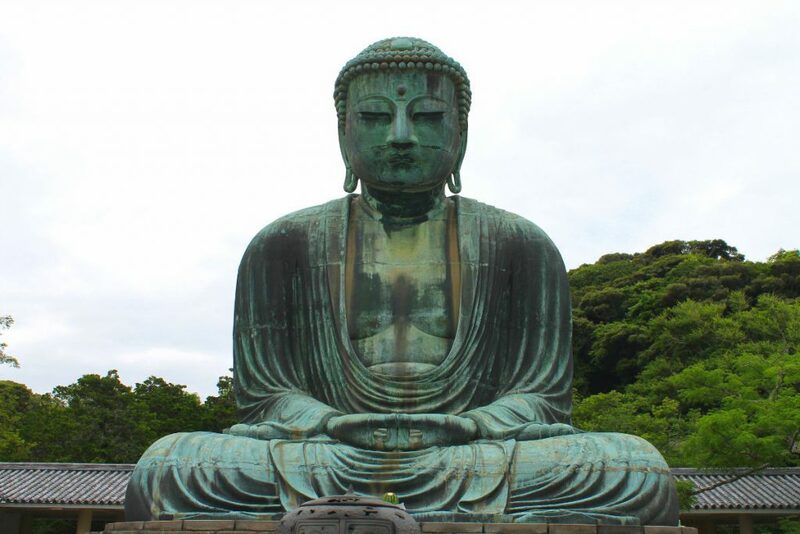 It’s the second largest Buddha statue in Japan (the first being in Nara at Todaiji Temple). 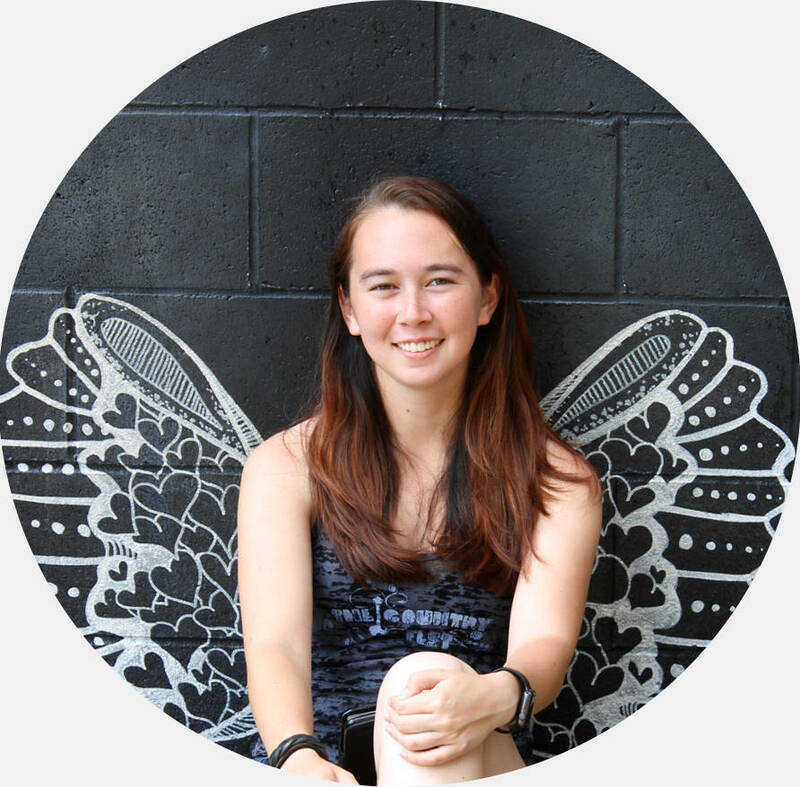 Kamakura has some amazing things to do and see, but as you travel from place to place, don’t forget to stop and look around. 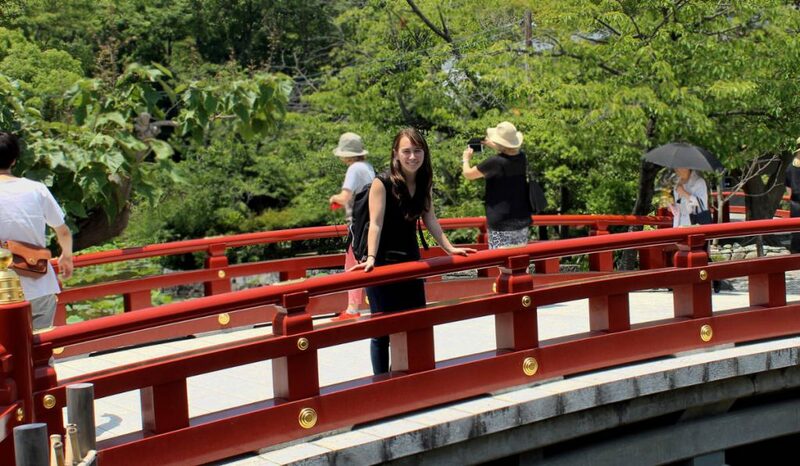 In Kamakura, sometimes the journey is just as beautiful as destination. 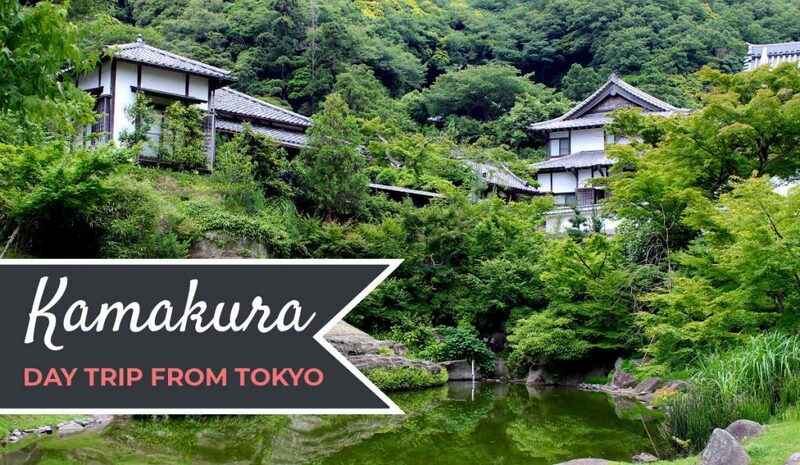 The fastest way to get to Kamakura from Shinjuku is to take the Shonan-Shinjuku Line. Thankfully, this is a Japan Rail Line, meaning that if you have a Japan Rail Pass, you won’t have to pay any extra for the ride. However, only some of the Shonan Shinjuku trains go all the way to Kamakura (the ones bound for Zushi). Others will stop at Ofuna. If you happen to get on one that stops at Ofuna, it’s not a problem. Just pick up the Yokosuka Line (also a Japan Rail Line) and continue the small distance to Kamakura. Depending on which Shonan-Shinjuku train you get on, it will take about 1 hour to 1 hour 20 minutes to arrive at Kamakura. If you are departing from Tokyo Station, you can take the Yokosuka Line all the way from Tokyo Station to Kamakura station, and arrive in a little over an hour.